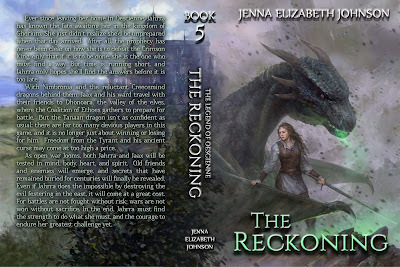 I finally have the links for you to pre-order The Reckoning! 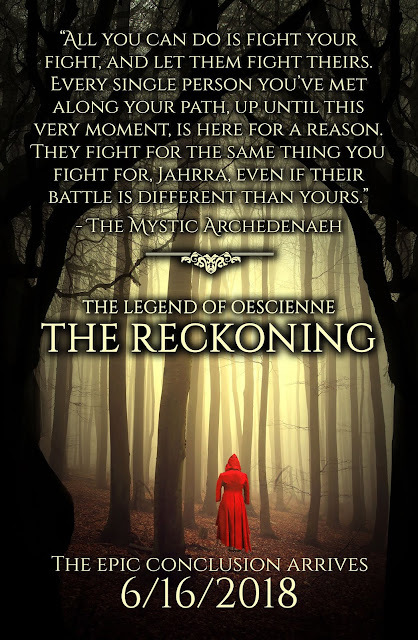 We are now only two weeks away from the grand finale in The Legend of Oescienne series and I can't wait for you all to read it :D. Below, you will find the links that are available (I'll be uploading the final draft on Google Play closer to the release date, so that link isn't available yet). Also, we're having a launch party for those of you local to the Central Coast. Details are all below! 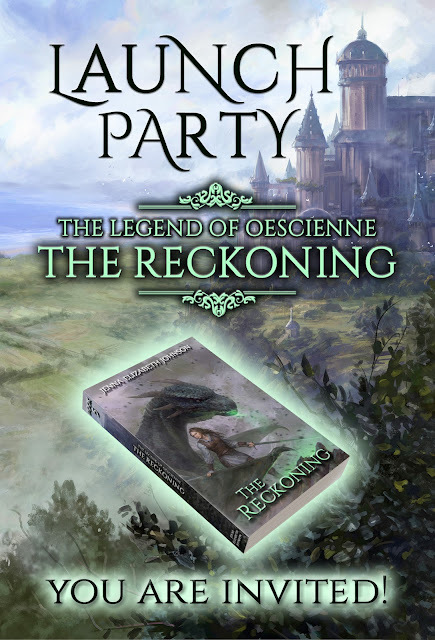 YOU ARE INVITED TO THE RECKONING LAUNCH PARTY! 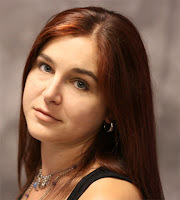 Join author Jenna Elizabeth Johnson as she celebrates the release of the epic conclusion to her Legend of Oescienne series. There will be an author reading, Q and A, games, prizes, snacks, and free posters! Let us know if you'll be able to make it on our Facebook Events page! 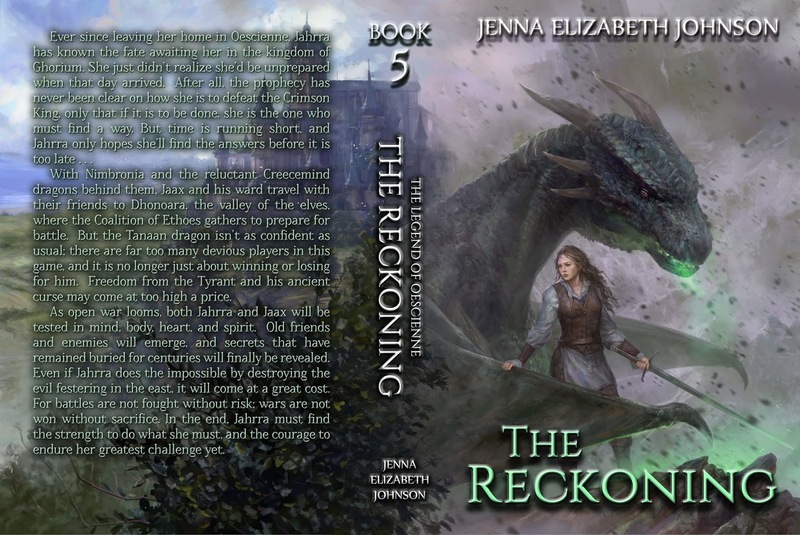 THE RECKONING Cover Reveal and Prologue! Hello everyone! Earlier this week, I sent out my May newsletter which included the cover reveal and prologue for The Legend of Oescienne - The Reckoning! In case you missed it, here they are! The projected release date is June 16th, so mark your calendars and here's to hoping this final project stays on schedule! And now, I present to you, the prologue for the final chapter in the Legend of Oescienne series. Happy reading! cold breeze whispered across the vast tundra, ruffling the short, tough grass that grew there. With the frigid sea and even colder mountains to the north and west, the gusts that danced across the Great Red Tundra of Ghorium made even the summer months almost unbearable. And it was that relentless wind that now battered at the minds and nerves of the company of warriors who tried so desperately to capture what few precious moments of rest they could. At some point in the night, however, exhaustion had finally won out. Only a few hours stretched before dawn, and the war encampment was silent, not a single living thing stirring. All, that is, except for the young soldier. He lay there, listening to the low wailing of the wind as the stench of burning bodies and the freshly spilled blood of the battlefield stung his nose. Not even the persistent cold had dampened the horrible smell, and it clung to him as assuredly as the red lichens clung to the broken rocks scattered across the plain. Something else, however, had woken him from his fitful sleep, but he could not tell what. A stray gust howling down the shallow river bed? The sudden snort from one of his comrades fighting against dark dreams? Or maybe a tundra predator, slinking through the night searching for an easy meal. That last thought had him shivering. The animals that dwelled in this part of the world were dangerous, no matter their size. Yet, with plenty of fallen allies and enemies nearby, it made no sense for a predator to be hunting for live food. The young man shifted, knowing these weren’t the reasons for his restlessness. He had realized early on that his motive for traveling to Ghorium to fight the evil brewing there went beyond the typical duty any normal soldier was called to perform. True enough, he had ventured east with his friends and allies to do his part in wiping the Tyrant and his accursed soldiers from the face of Ethöes. But now that he had endured the horror of the battlefield, watched those same friends die beneath the enemy’s power and wrath, there was only one thing left he could do, if he wanted a chance for even the slightest glimmer of hope. Somewhere across the distance, a man screamed. A final lament to Ethöes to spare him the pain of his passing? A plea to give him a little more courage, a little more strength, so that perhaps he might rise at dawn to fight again? Or perhaps just another tired soldier haunted by his own demons. Whatever it had been, the spine-tingling screech stopped the young man short, his heart thundering in his chest, adrenaline coursing through his blood. After several seconds, his feet fell into a quick pace once more, his body crouched low. The dim light of several small fires, some kindled by the soldiers to keep warm, others the evidence of the Morli attack from the evening before, acted as beacons leading the way to the outer wall of Vruuthŭn, the black city where the enemy waited. Vengeance and the driving need to help the people of Ethöes pushed him, where fear and fatigue would have caused another to give in. With a single-minded focus, he climbed over one berm after another. Finally, he reached his first destination: a larger pocket in the otherwise monotonous landscape. Here, several of the men, fellow allies fighting for his cause, slept. They all wore stained and tattered uniforms, some of them too old and gray to wage war, others younger than himself. But they were here, along with countless others like them. Fighting to defend their freedom, the freedom of Ethöes, even if they ought to be home in their cabins smoking a pipe by the fire with their grandchildren, or out pulling harmless, midnight pranks on their neighbors. These men rested fitfully, their bodies tired but their minds always waiting for the next attack. As he studied them, the soldier’s eyes fell upon a young man about his own age and height. Perhaps it was the fact he lay curled up near the center of the group that caught his attention, or maybe it was that even in the dim light of predawn, he could see that this young man resembled him. For several seconds, he studied the sleeping warrior, noting his dark blond hair and strong features. He was perhaps a few inches taller than himself and a bit broader in the shoulders. When they were both awake, standing side by side, people believed them to be brothers. A smile curled at the corner of the soldier’s mouth as memories of their youth played through his mind. The two of them had grown up in the same province, though they had come from very different families. That fact hadn’t kept them from getting into mischief together, however. Sighing against the remorse that threatened to push aside his determination, the soldier pressed his hand to his own chest, splaying his fingers. The young man asleep on the cold ground below him was dressed in the simple rags of a stable hand, while he wore the fine clothing of a prince. But war has made us equals, he thought. Though I have always believed it, and so have you, war has so bitterly made it fact. For no man, prince or peasant, can escape death, my friend. A soft exhalation of breath snapped the restless soldier’s attention back to the present. One of his comrades had awoken, his dark eyes trained on the young man standing over him. He nodded once to the warrior, and the man silently roused five others. The rest of them, including the sleeping figure in the middle of the group, were left undisturbed. Seven fighters ghosted away from their makeshift camp and headed toward the base of the city a few miles away. As they marched, the men gathered more willing fighters, those who woke to find the small party pressing forward with purpose, their own spirits inspired by the sight of the young warrior clad in armor emblazoned with the royal crest of Oescienne. He could not turn them away, not when he sensed in them the same driving need to destroy the demon king who wished to enslave them. This was it, he knew in his heart. This was their final stand, and they would take it alone if they had to. If they were lucky, if Ethöes smiled down upon them, their attack would come as a surprise, and they would gain the advantage while the rest of the army slept. The sun peeked above the horizon in the east, a brilliant eye of red, its light a burning condemnation; an omen for what they were about to face. At some point along their short journey, someone offered horses. The young soldier took the reins and mounted blindly, his mind focused on one thing and one thing only. He must destroy Cierryon, the monster who had killed his king. The frozen fortress loomed in the distance, an impenetrable castle set high atop a mountain and guarded by a city full of enemy soldiers and Morli dragons. He knew the odds were against them, but he was so very tired. Tired of the pain. Tired of the ache in his chest. Tired of being surrounded by death and hopelessness. He could endure it no longer. So, he had decided to face this enemy on his own, with only those he trusted most by his side and those ready to scream their final battle cry. As the rest of his army slept on, their dreams as black as his own, he guided his horse swiftly and silently across the barren landscape, the frozen mountains rising like the demonic visage of the god Ciarrohn in the distance. Without warning, the scene shifted, and the young soldier was falling. He braced for impact, wondering how he had been unseated from his horse, but the ground never came up to meet him. Instead, he plummeted through a black void, and in a fierce moment of fear, he wondered if he’d been struck by an arrow shot from one of the Tyrant’s men. Was this death, then? He had so desperately hoped death meant the end of agony and fear, but the terror was just as strong now as it had been earlier. Flashes of memory bombarded him as he fell, memories of the several bloody battles he’d fought so far. Visions of his friends dying beside him, struck down by sword, spear, and axe, or incinerated by a blast of fire from one of the hideous Morli dragons overhead. The Korli dragons on his side fought fiercely, but they were no match for the numerous Morli. He screamed against the horror of it all, wondering what he had done in his mortal life to deserve such a tormented afterlife. His body twisted in the void, and new memories flickered before him, only, these recollections hadn’t happened to him yet, had they? Familiar, so very familiar, but so distant they seemed to be the afterthoughts of dreams from long ago. His head filled with the sounds of metal clashing upon metal, the screams of men and horses and dragons. 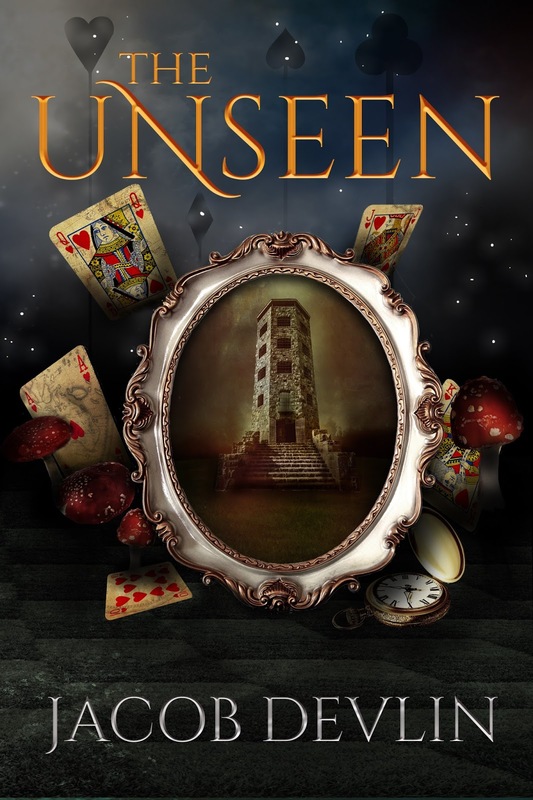 He spun around and around and around, lost in this place that did not exist, until finally he caught a petrifying glance of the wicked, shadowy face of his enemy just as a searing pain sliced down the side of his face and neck. Far away in Lidien, in a manor house nestled in the hills above the city, the Tanaan dragon Kehllor woke gasping for breath, only to curse when his head came into contact with a stone wall. Growling, he lashed his tail in frustration, then gave a great sigh of relief. Good. Despite the slight headache his thrashing had caused, it had only been another dream. There was no great battlefield littered with corpses, no relentless, ice-laced wind barraging his senses, no terrifying monsters manifesting around him. While he waited for his blood to cool and his pulse to slow, Kehllor puzzled over the nightmare that had torn him so rudely from his rest. He had no idea where the dream had come from, but it wasn’t a new one. Well, that wasn’t entirely correct. The scenes in this one differed from the others, but the theme had been a recurring one over the past several nights. But why he would walk in that world as something other than a dragon was beyond him. Pushing a blast of hot air through his nostrils, he tilted his head as he considered it. The others in the dream, the ones that looked a lot like elves, seemed familiar somehow, but like the memories that haunted his sleep, he could not place them. A new sound, this one real and not imagined, disrupted his thoughts. It was a soft rapping of knuckles against a wooden door. Ah, yes. The dragon blinked rapidly, the sharp edges of the nightmare growing dull as his surroundings took shape. A spacious, sparsely decorated study rose up around him. There was a desk, large enough to accommodate a dragon, a small fireplace in one corner and bookshelves lining the walls on one side. The space was comfortable and welcoming, despite the fact it did not belong to him. This was the home of the dragon Raejaaxorix, and he had recently become its new tenant. And clearly, he had fallen asleep in the study late the night before instead of making his way to the much more appropriate sleeping chamber. That explained why he’d smacked his head against the wall in his haste to escape the dream. “Master Kehllor?” the woman asked once again. “I’m f-fine,” he managed, his voice a bit raspy. “I heard sounds of distress,” the housemaid announced, her muffled words growing louder. Kehllor gritted his teeth. How embarrassing. Hopefully, the woman hadn’t been too disturbed by his night terrors. She had lived in this house with Jaax before him, after all, so surely she was used to dragonish ways. There was a long silence, then what sounded like a huff of breath. “Very well. If you insist.” The shuffle of the Nesnan woman’s footsteps heading back down the hall brought Kehllor some relief. He wasn’t much one for holding long, or even short, conversations. And the last thing he wanted after waking up from such a disturbing dream was to take part in a heart-to-heart with the overly-concerned housekeeper. Kehllor struggled to shake the last vestiges of the dream from his mind. The memory of it had faded, but the sense of unease clinging to his scales lingered. Only time would take care of that, Kehllor thought, so he sat up and stretched his muscles, sore from spending the previous day checking the borders of Lidien with a few other dragons active in the Coalition. It was now his duty to ensure the Crimson King’s soldiers stayed beyond the city’s magical boundaries. They had moved in close, frighteningly so, but as far as Kehllor could tell, the ancient magic keeping their enemies at bay held, and no one had breached the walls. He only hoped those boundaries remained strong. Yet as much as he wished for the Tyrant’s loyal servants to disperse and be on their way, he secretly thanked Ethöes every day they continued to prod at the enchantment surrounding the city. The longer they stayed distracted by Lidien’s power, the more time Jaax, Jahrra, and Ellyesce had to get as far away as they could. Kehllor furrowed his brow as he counted back the days since his friends had fled the city. One, maybe closer to two, months ago. Surely they were in Nimbronia by now. Had the trip been an easy one? Or had some of the Tyrant’s soldiers slipped away to pursue them? Kehllor could not know for sure. If they could just reach the city of the Creecemind dragons before the Crimson King’s army caught up with them, then they would be safe once again. At least for the time being. The sweet melody of a songbird drew the golden dragon’s attention away from his reverie, and he glanced toward one of the study’s windows. 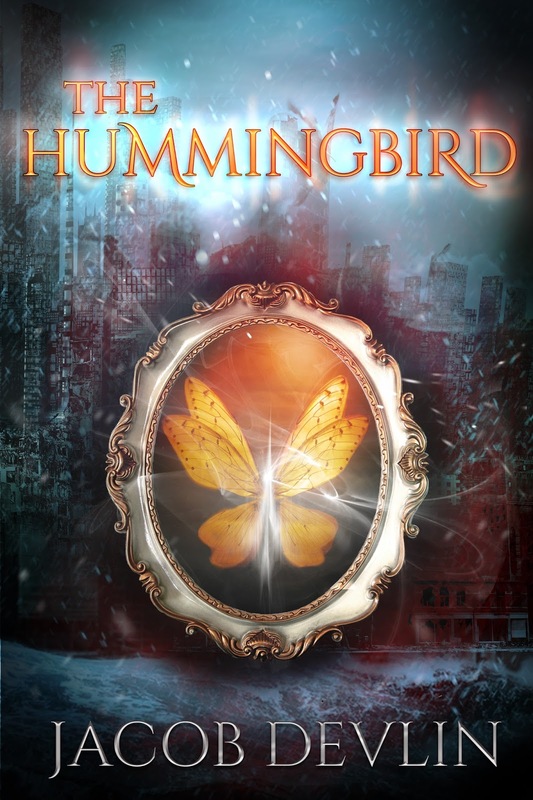 The diamond-paned panel was cracked open and through it he spotted the small creature, a heartsong sparrow, singing its hymn to the waking world. Despite his troubled thoughts, Kehllor couldn’t help a reptilian smile. He hoped the bird’s presence was a good omen. The feathered creature finished one more chorus, then with a chirp, it leapt from the redwood branch it had been resting on and flitted off into the forest surrounding the hill. Kehllor peered beyond the treetops and caught a glimpse of the great bay, the distant peninsula growing less gray as the morning’s sunlight flooded the world. Taking a deep breath and letting it out through his nose, Kehllor stood and exited the study as quietly as he could. If he remembered correctly, the Coalition would be meeting later in the morning, and his presence would be expected. The Coalition of Ethöes had been convening more often of late, and although he loathed being around so many arguing and angry people, he understood the necessity for their frequent gatherings. Jaax, their previous leader, had given up his position in order to flee the City of Light with Jahrra, the human girl foretold by the Oracles. And they had not gone without a nice dose of controversy. Before leaving Lidien, a rumor claiming Jaax to be a liar and his ward to be a fraud had spread like wildfire through the city. And Shiroxx, the very dragon who had fostered Kehllor for so long, had played the lead role in stirring the pot. Kehllor’s upper lip curled in disgust. He knew the red Tanaan dragon was somehow responsible for spreading the lies, but he couldn’t prove it. Besides, before leaving for Nimbronia, Jaax had dismissed her from the Coalition. Unfortunately, he hadn’t dismissed her co-conspirator, Rohdann. Although not as ruthless as Shiroxx, the black Tanaan dragon was her puppet. He would do anything she asked, and he had a knack for turning suspicion away from himself. The savory scent of cinnamon and butter distracted Kehllor enough to forget about Shiroxx and Rohdann and all his other worries for the time being. He stepped out into the hallway and headed for the common room. A fire burned brightly in the great hearth, and soft morning sunlight spilled in through the south-facing windows. The common room was quite large, providing plenty of space for a dragon and his company. Long tapestries, thick carpets, and stuffed furniture for the non-dragon guests decorated the space tastefully, complimenting the green-flecked flagstone floor and granite walls. Kehllor took a moment to appreciate his current position in life. For so many years, he had been under the thumb of Shiroxx, owing everything to her simply because he had not known any better. He couldn’t remember much of his past before the red dragon found him wandering the desert region of the south. Some traumatic experience had erased it from his mind, and if not for Shiroxx’s kindness, he’d have no life at all. No, he corrected himself bitterly, it wasn’t out of kindness that Shiroxx found me and took me under her wing. I’ve been nothing but an instrument to her. A tool to be used to get what she wants. It had taken Jahrra’s patient persistence to teach him that not everyone was his enemy and that there were such things as real friends to be had. Despite all he had gained and learned in the past year, however, he couldn’t help but wonder where he had come from and what his life had been like before forgetting it all. The dream, still lingering in the recesses of his mind, pushed its way forward once more. He wanted to forget it, for it only made him anxious, yet he was also determined to puzzle it out. Where had he been in that strange nightmare? And why had he witnessed events from another’s eyes? And what had been that terrifying presence he and his companions had been so determined to defeat? Perhaps it was a vision of the past, or more likely, the future. Could he be some sort of seer and not even know it? And if that was the vision of the future, whose eyes had he been seeing this future through? A cold dread filled his stomach as a new revelation occurred to him. The demon in the dream. Could it be the enemy that the Coalition, that Jaax and Jahrra, wished to defeat? A terrifying visage of the Crimson King, perhaps. Or more precisely, the demon-god who possessed the Tyrant’s body. Why on Ethöes would Kehllor be dreaming about a battle with Ciarrohn? With a shudder, the golden dragon cast the disturbing thought aside. He would eat whatever wonderful breakfast Neira was preparing, then he’d venture into the city to listen to another long session of Nesnan and Resai diplomats bickering with one another. The very thought made his back teeth ache. He grew weary of staying put and doing nothing, but Jaax was counting on him to lead the Coalition. “But we are getting nowhere,” he whispered aloud to no one. 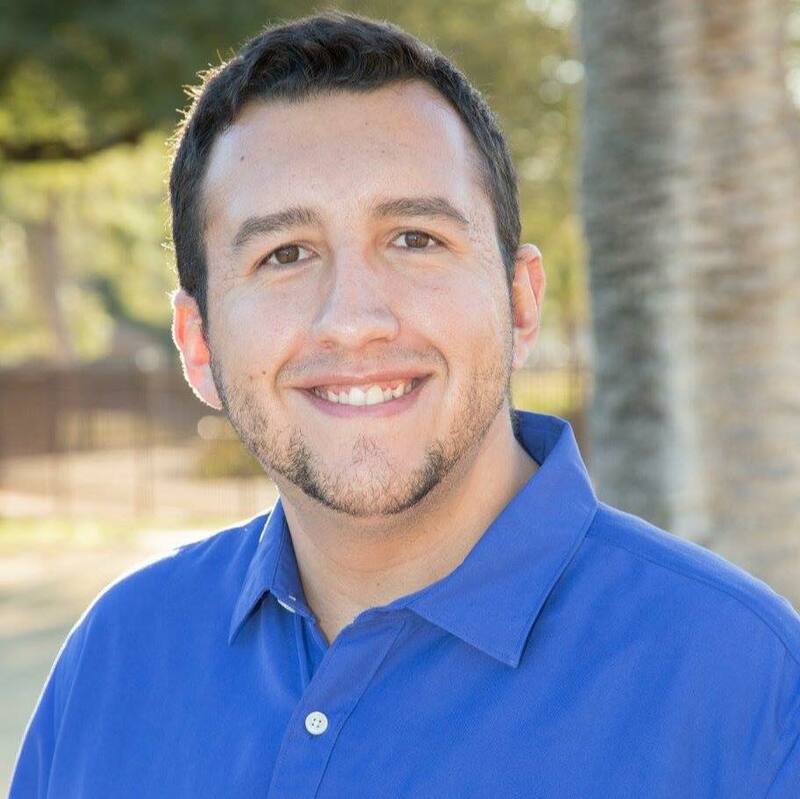 Kehllor went over the past several Coalition meetings in his head, sifting through the information pouring from a variety of sources outside of Felldreim. Checking the borders for weaknesses took off some of the edge, but as the dreams grew more vivid and more frequent, and as more evidence of the Tyrant’s growing power leaked in, Kehllor was beginning to feel trapped. He was aware of the armies being forged throughout Ethöes, troops of soldiers and farmers and merchants alike, willing to fight against the evil growing in the east when the time came. Anyone and everyone ready to defend the last threads of freedom the world possessed. He also had an idea of their numbers, and those weren’t too impressive. And there was no guarantee Jaax and Jahrra would convince the Creecemind to join their cause. Without the ice dragons of the north, the Coalition and her allies stood no chance against the Crimson King’s army and his Morli dragons. Kehllor ruminated over breakfast, then all the way to Essyel Hall in the heart of the city. By the time he reached his place at the head of the massive meeting room, an idea had begun prickling at the back of his mind. It was almost ludicrous, but the longer the Coalition’s new leader considered it, the more appealing it seemed. He had spent much of his life in the southern part of the continent and had come to know the people who lived there. People the rest of the world ignored. But maybe, just maybe, these people understood the threat Cierryon posed as well. And just like that, a plan blossomed to life. DON'T FORGET TO VISIT US AT BOOTH #696 AT PHOENIX COMIC FEST! 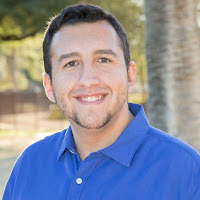 When Jacob Devlin was four years old, he would lounge around in Batman pajamas and make semi-autobiographical picture books about an adventurous python named Jake the Snake. 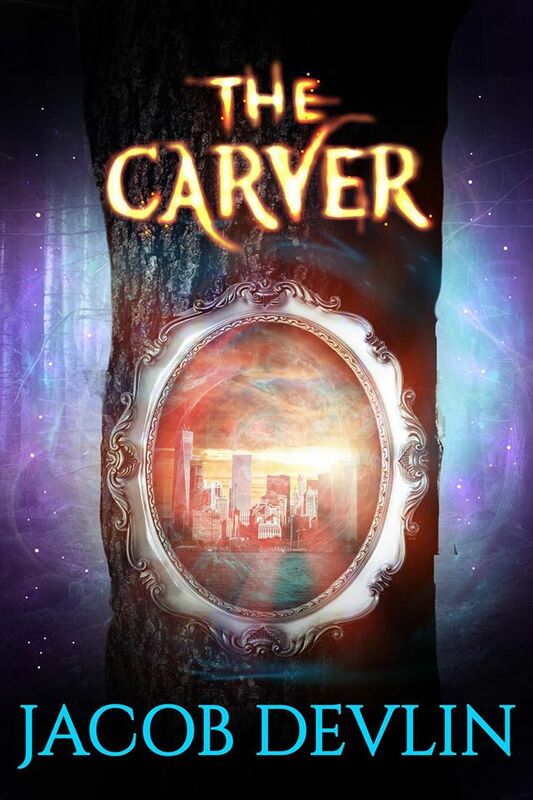 He is the author of THE CARVER and its two sequels, THE UNSEEN and THE HUMMINGBIRD. 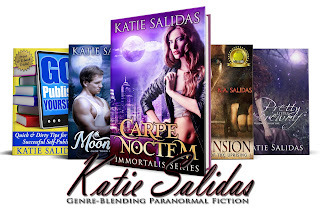 When not reading or writing, Jacob loves geeking out at comic book conventions, spoiling his niece, and blasting Italian rock music in his car. He does most of these things in southern Arizona. I've lived in Southern Arizona most of my life, but spent a few wonderful years in Virginia and consider it like a second home as well. 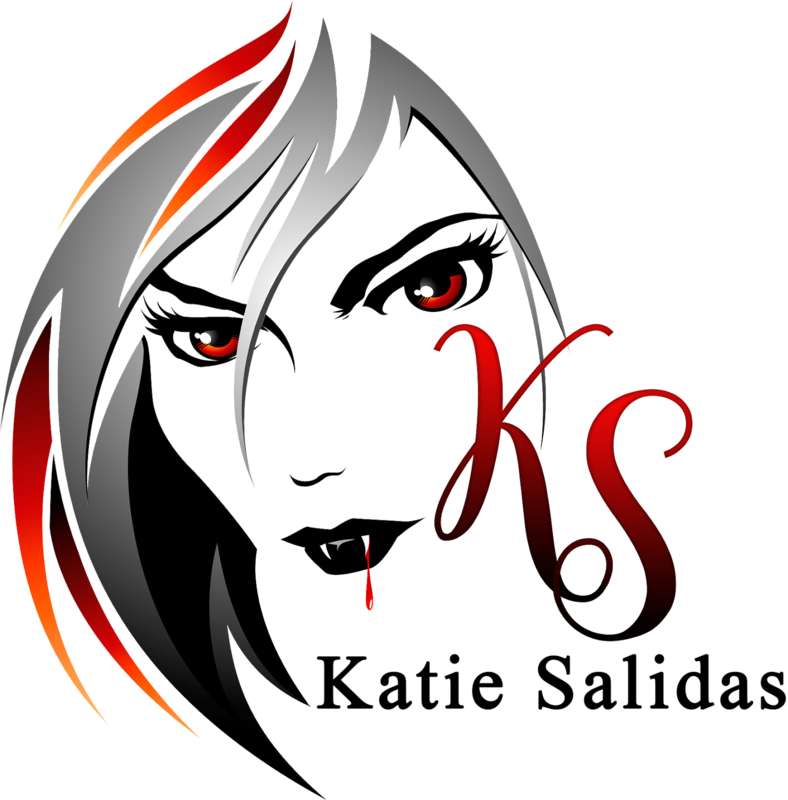 Most of my work (and everything I've published thus far) is MG/YA adventure fantasy. Usually my writing bends a fairy tale or legend somehow, and there's always a strong emphasis on familial love. 3) What are you working on right now? 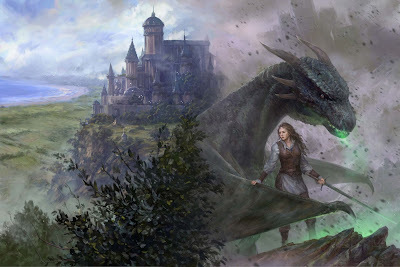 I'm revising a middle grade adventure fantasy about two siblings who have to hunt down a dragon to rescue their uncle, a famous survivalist who knows everything about bears and nothing about leathery winged beasts. 4) Why do you write? 6-year-old, and every book was an escape. It still is for me. Reading, writing, creating opens up spaces for people of any age and any background to grow, heal, or dream. Food. Especially brinner. I swear I eat breakfast for dinner more than I eat breakfast for breakfast. Going to the movies! Especially if it's a new MCU movie. Traveling and seeing new things.